Bristol’s Oliver Bennett survived the fast straights and tight bends of Hell for the fifth round of FIA World Rallycross Championship. 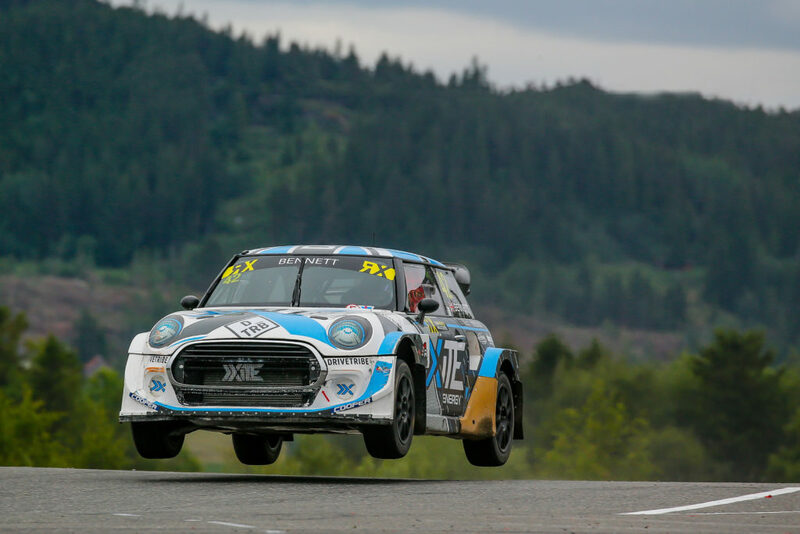 Taking on the legendary rallycross circuit, Bennett started his weekend lining up alongside double World Rallycross champion Petter Solberg for the first race, knowing it would be a good opportunity to learn from the best, Bennett followed in the tracks of Solberg. Heading in to the weekend Bennett’s only experience of the circuit was during his pre-race preparation during simulator work. During the fourth race Bennett’s handbrake lever broke, leaving him with no way to pull the back end of the car around the corners for the latter part of the race. Summing up the weekend Bennett can see progress as he learns the circuits and how to push the Mini Cooper SX1. The next round of the FIA World Rallycross Championship takes place in Sweden at the fast Holjes Motorstadion on the weekend of 30 June/1 July.